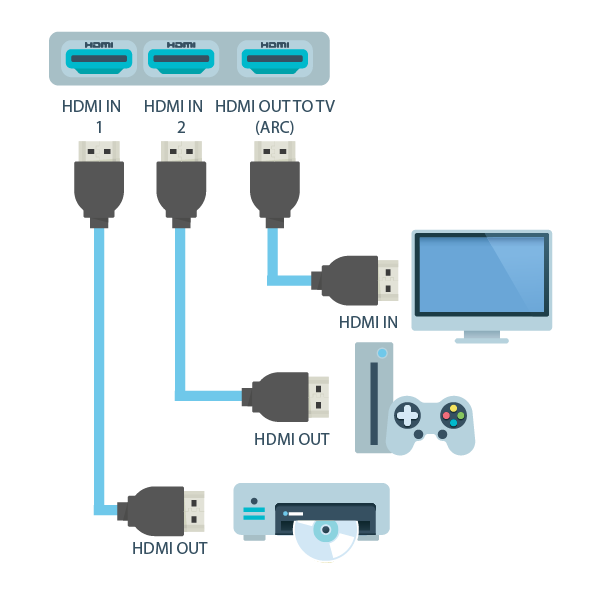 CEC (Consumer Electronics Control) is an HDMI 1.3a feature that allows you to command and control other CEC enabled devices that are connected through HDMI. CEC started appearing as early as 2006 and it is now widely adopted. In theory, this seemed like a good idea, to be able to control multiple devices with one remote, but in practice, it can be difficult to work with. Why? Well, this is because most manufacturers of TVs have some variant of CEC. With CEC and this setup, if you press play on your Blue-ray player the Blue-ray player will automatically be the active source and you just play your video on your TV. Does My TV have HDMI CEC? So to enable CEC on your Panasonic TV for example, you would need to look for VIERA Link, HDAVI Control, or EZ-Sync and enable it. What types of devices can I control with CEC? How do I understand CEC Messages? A TV has a Chromecast connected to HDMI 1 on the TV, and a sound bar on HDMI 2. 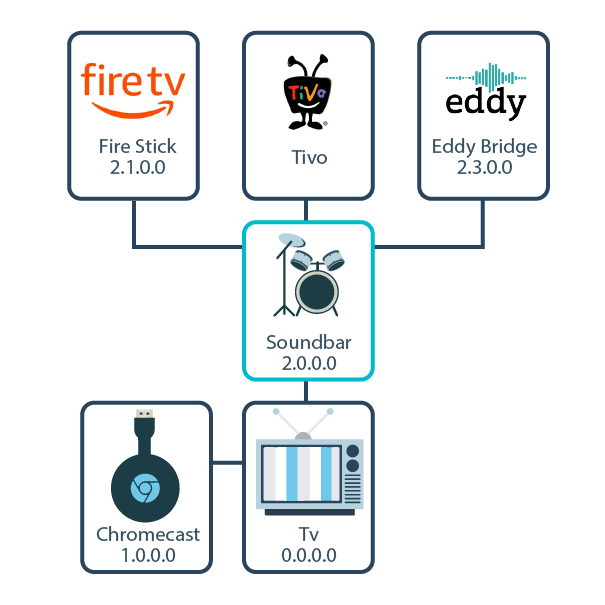 The soundbar has a Firestick, Tivo and Eddy Bridge. The number below each icon reflect the local address by the CEC i.e. (2.1.0.0 is Fire Stick). So in summary, this is saying that Eddy Bridge (Raspberry Pi device) is asking the Audio System to mute. What commands can I do? In Eddy Voice Remote, the HDMI-CEC frame is auto populated when adding a CEC command. How do I enable CEC on my device? Some devices like soundbars have this enabled by default. Most devices have this turned off and you have to go through the menu and find your manufacturer’s version of CEC to enable it. So look for your manual to find out how to enable CEC. Setup Eddy Bridge (Go here). Add a CEC button on the buttons page.